Sources said that the vehicles are currently being tested at an advanced stage and they are likely to be procured by the end of this year. 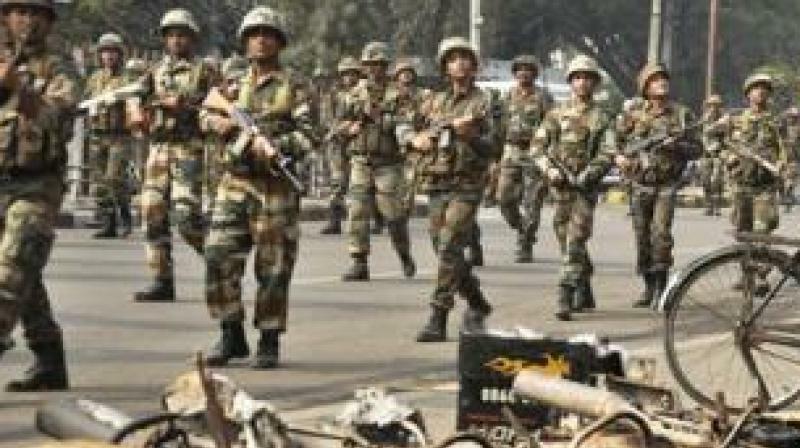 New Delhi: In a bid to ramp up its operations against terrorism and Naxals in the country, the paramilitary forces will soon procure medium bulletproof vehicles (MBPV). Recently, a delegation went to Leh-Ladakh to monitor the trial of these vehicles. The MBPV is a 4×4-wheel right-hand drive, heavy-duty all-weather and off-road mobility vehicle, specially designed for easy manoeuvrability, operability and maintainability. This advanced blast-protected and bulletproof vehicle would shield security personnel from small-arms fire, hand grenades and fragment-simulated projectiles. With survivability as the major objective, the MBPV 4×4 has a carrying capacity of 10 plus 2 persons. The vehicle will be used by the security forces for its counter-insurgency operations in hostile environments. The addition of these vehicles will give the forces an upper hand as lately terrorists have been targeting the convoys of security forces in Kashmir, the Northeast and Naxal-affected areas. According to sources, these vehicles will be equipped with a 360° CCTV camera and will be fully air-conditioned. The vehicles will have an in-built fire-cover system (morcha) for mounting heavy weapons. Equipped with night vision and thermal vision facilities, the vehicles will also be effective in conducting night operations. Also, these MBPV will have an in-built GPS and wireless communication systems. Sources said that a tender for the procurement of these vehicles has already been floated and two major manufacturers have been shortlisted in line with the "Make in India" initiative. Once the trials conclude successfully, the contract will be given to the suitable manufacturer. Meanwhile, sources said that numbers of the vehicles for each force will be as per their demand.